This is just a quick post to address some questions people have been asking me. I apologise for not replying individually to everyone, but I just don’t have time now that I am doing the DIP and working every day, it’s hard to get used to it after the relaxed nature of subbing! 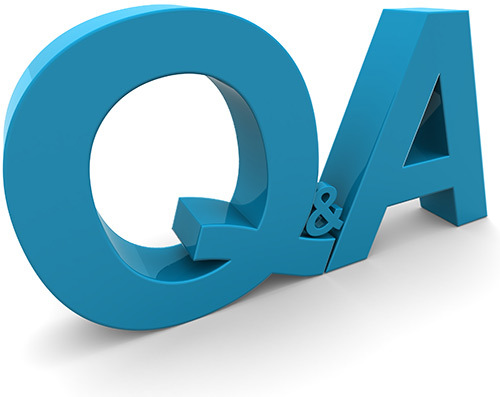 I will endeavour to answer all your questions in this blog post. I personally couldn’t imagine teaching without themes. I acknowledge it may be difficult when you have to follow text books, but that’s not to say the books have to be done in strict page order, most books will have sections relating to your theme. I find planning thematically benefits both myself and the children. I plan thematically because it makes it easier for me to plan and teach. It’s fun integrating all subjects, it’s like a big puzzle, and it brings a great sense of achievement on a Friday when you have linked all subjects, especially maths! More importantly, it benefits the children’s learning because it makes the learning experience more relevant and meaningful. This week, we are learning about the rainforest as our theme. It is a really good one, so easy to link! I would highly recommend it, for any age group. 2. Where do you get time to blog? So many people ask me this, I don’t see how it is of interest really! But anyway, I don’t write as often as I should, but once the DIP is over I will be back with a vengeance!I enjoy writing and sharing information on my blog, so it isn’t a chore really! There are 12 hours in the day after all, and sure we’re only in school until 2:40. The day is as long as you make it! 3. How long should weekly plans be? I can’t answer this fully because all inspectors have different expectations. My English, Irish and Maths plans are generally six to seven pages, with other subjects being maybe two pages. I can’t really answer DIP questions or advise on the area as I haven’t finished mine yet. 4. Do you like school? Yes?! If you don’t like school you shouldn’t be there. Do I like the ridiculous aspect of typing up every word I am going to say during the lesson? No. Teaching however, I love. I can’t imagine ever working with solely adults, it would be so boring! No offence, but children are just so open, and they make me laugh every day. Maybe it depends on your class, I am not sure, but yes I do like school, very much so. Take for example, in maths this week, everyone was working away quietly. One boy started humming ‘Three Little Birds’ by Bob Marley, a song we had learned weeks ago. He was singing quietly to himself, then one by one the others joined in, and suddenly the whole class were singing in perfect unison. It was a lovely moment, and where else would you get that? 5. Any tips on teaching maths? I don’t have many tips for teaching maths. I like to make my lessons really active, as the constructivist approach really is a must for this subject. I remember hating maths in 5th/6th class, and I just try to make it fun so children in my class don’t feel that way! There is always a way to make maths fun and active, no matter what strand you are teaching. 6. What do you struggle with? Nothing! Only joking. I struggle with time. There simply isn’t enough time in the day. No way of rectifying that struggle really! 7. Can you do a more detailed post on Grandparents Day? Yes, I will try do it this weekend. 8. Can you do a post on gaining entry to Hibernia college? Yes, again, I’ll try do it soon. I do have a list of questions from my prep for the Hibernia interview posted on my blog somewhere. 9. What displays do you have in your classroom? I have an Irish board, a maths board, two English boards, an art board, and an SESE board. 10. Would you recommend teaching as profession? I received a message from a leaving cert student a few weeks ago asking this and asking about ways into teaching if you didn’t get enough points. If you really, really want to be a teacher, then become one. You probably won’t be happy doing anything else. Yes, there’s very little job security in the profession at the moment. I could easily be looking at a few years of subbing and maternity leave covers, if I am lucky! But I don’t care, so long as I am teaching regularly and making enough to get by, the whole ‘permanent job for life’ doesn’t bother me terribly. Again, I don’t have any dependents or a mortgage or anything, if I did, maybe I wouldn’t be quite so relaxed. 11. Do you use text books during the DIP? Yes, I do, but I do wonder if this is okay or not, for an inspection lesson for example? I am not sure. If I had my way, every textbook in Ireland would be thrown out the window. They are almost obsolete now with the IWB. Maybe in time. That’s all I can answer for now, if you have any other questions, post them in the comment section or on my facebook page.